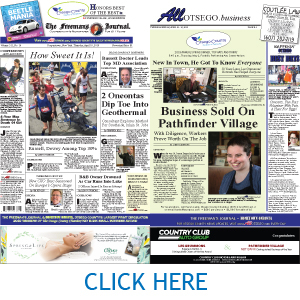 In Governor Cuomo’s Dec. 18 CFA announcements, Otsego County entrepreneurs did just fine. You might expect what follows: It sounds like one of those stories Times reporters periodically transmit from Timbuctoo or some similarly exotic locale. All impressions. As if rural economic development – the War on Poverty, if you will – is all about feelings. Here’s a more concrete objection: Porter equates Upstate New York – criss-crossed by four lanes, peppered with international airports, abounding with excellent colleges and universities, a couple of hours from the largest metropolitan economy in the country that also happens to be the center of the financial universe – with Harrison, Neb., wherever that is. 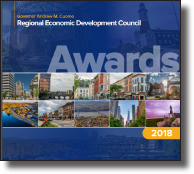 Only 50 years ago, the Mohawk Valley was the most productive industrial corridor in the world, from Schenectady to Buffalo. Before the Civil Rights Act of 1964, the segregated South was a deterrent: What a nightmare succumbing to Jim Crow’s heel would have been for companies marketing to a nation of more forward-looking consumers. That obstacle removed, Empire State companies flocked to the non-union South. The story’s told of the last Mr. Shuttleworth, president of the company that founded Mohawk Carpet in Amsterdam, being spit upon by a striker while crossing a picket line in the late 1960s. Within a year, the company’s final Mohawk Valley operations had departed. New York State never effectively reacted to the historic shift south. Many magnificent towns and cities – not just Amsterdam, but Fort Plain, Rochester, you name it – spun into decades-long decline. 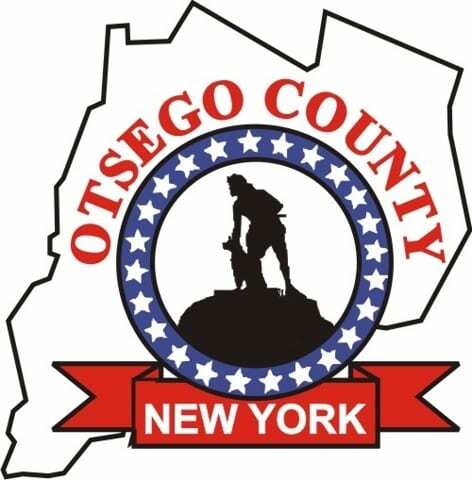 We can’t say lack of broadband limits Otsego County’s growth. Oneonta has broadband, and the city’s hardly built out; so does Cooperstown. Must the last dead-end in Decatur be served before we dispatch that excuse? • Andela Products, the Richfield Springs glass recycler, received $950,000 to construct two more buildings and create a 22-acre commerce park. • Red Shed Brewery got $437,000 to expand its Route 33 operation, allowing it to begin hosting concerts quarterly, and further to create a week-long beer-themed celebration at its hilltop founding site above Middlefield Center. grass-fed beef sector, stalled due to a lack of USDA-approved meat-processing capacity. Separately, Oneonta’s Custom Electronics in October received a $750,000 grant to put a futuristic self-renewing battery – better batteries are the foundation of a Renewable Future – into production, part of a $2.2 million undertaking that will create 50 new jobs. Ideas aplenty. The brake is energy. Speaking to Oneonta Common Council’s Community Development Committee on Jan. 10, Delaware Engineering representatives reported, as of now, there is no energy available to any enterprise seeking to located in the former D&H Railyards, which City Hall and Otsego Now have identified as the top priority for development. Not a BTU, nada. Bianconi explained in an interview, once an enterprise is recruited, that company must interface with NYSEG, which – after imposing a non-disclosure agreement – will tell the executives how much gas and electricity they will get and what it will cost. She said that’s the same case in pretty much every county in eastern New York. Given the vehemence of the anti-gas faction in the city, Mayor Gary Herzig was asked if City Hall should be spending any time on the railyards at all. Herzig replied that it’s easy to be against a theoretical manufacturer, but if an attractive development can be devised for Oneonta, there should be more give. A mix of solar and geothermal, with fossil fuels as a bridge, albeit a temporary one, might be possible, he said, depending on the overall plan. That remains to be seen. A sense of any flexibility may be gauged at a panel discussion the Concerned Citizens of Oneonta has planned at 7 p.m. this Thursday, Jan. 17, at Elm Park United Methodist Church. And at the Otsego Chamber summit at The Otesaga on the 31st. Chamber President Barbara Ann Heegan said registrations are coming in from across Central New York. Wonder what that’s all about. Herzig, of course, has it right. For the time being, the only option – if there is to be any development in a county that has lost 3.5 percent of its population (2,165) since 2010 – is a mixed of solar, geothermal and fossil fuels. (Wind has been ruled out at the railyards, the mayor said). Confronted by a throng at its last meeting, the Oneonta Town Board was intimidated into casting a premature anti-gas vote. Will other community leaders buckle as well before fully assessing the mood of the whole electorate? Let’s push the envelope on renewables, but sensibly accept shortterm inevitabilities. After all, Governor Cuomo, with majorities in both the Senate and Assembly, doesn’t see the state becoming 100-percent renewable in vehicles alone until 2040, a generation from now,. Vehicles are only 14 percent of energy consumption. address our economic-development and socio-economic challenges, not to keep moving ahead.